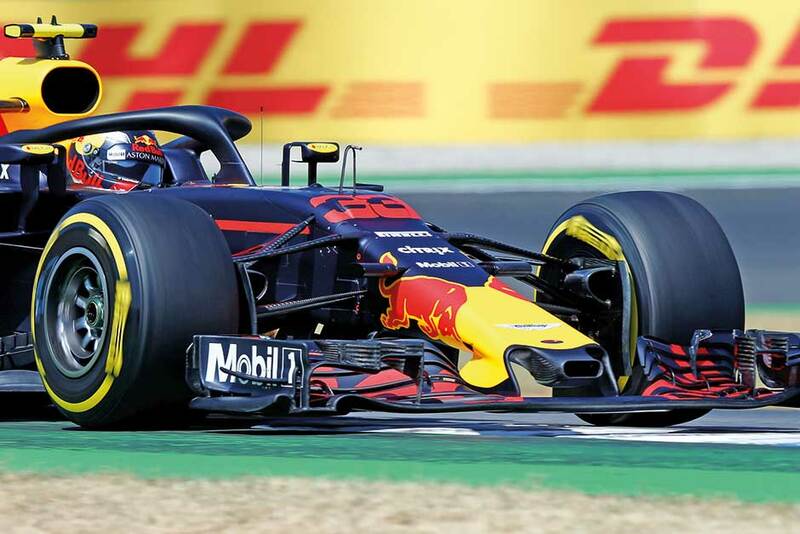 Hoffenheim, Germany: Max Verstappen clocked an outright circuit lap record and fastest lap as Red Bull continued to top the times in Friday afternoon’s second free practice for this weekend’s German Grand Prix. The young Dutchman recorded a best lap of one minute and 13.085 seconds to outpace Lewis Hamilton by 0.026 seconds with Valtteri Bottas third, in the second Mercedes, ahead of championship leading home hero Sebastian Vettel and his Ferrari teammate Kimi Raikkonen. On a sweltering afternoon at the Hockenheimring, with an air temperature of 31 degrees Celsius and the track at 52 degrees, most of the session was dedicated to evaluating tyre performance ahead of Sunday’s race. Fresh from announcements confirming new contracts for them both, the two Mercedes men were consistently fast, but unable to match the Red Bulls in the tight and twisty first and third sectors of the circuit, including the final ‘stadium section’. Vettel and Ferrari appeared to be content with their performance as they were close to the pace of the leading cars and comfortably clear of sixth placed Romain Grosjean and his Haas teammate Kevin Magnussen, both powered by Ferrari. Monegasque rising star Charles Leclerc, widely tipped to be a target for Ferrari next season, was eighth in his Ferrari-engined Sauber ahead of German Nico Hulkenberg of Renault and Frenchman Esteban Ocon of Force India. The session came shortly after the publication of comments by Hamilton suggesting that Ferrari had over-indulged in their post-race celebrations after winning the British Grand Prix, a reaction that he said suggested signs of weakness. Hamilton declined to continue the ‘war of words when he spoke to reporters late Thursday, saying: “I see that as a weakness rather than a whole need to even say anything ... For me, it’s something that we can work with. It doesn’t affect me whatsoever. Good for him. He was less than true to his word during Friday’s second session when he showed signs of frustration during his race simulation runs and complained ‘my seat’s really hot,’ adding that his rear tyres were nearly ‘finished’. “I feel like I’m just wasting my engine out here,” he added towards the end of the session on a day when Red Bull dominated with Australian Daniel Ricciardo having upstaged the defending four-time champion by going fastest in the morning.